This is a statement that clearly expresses the exact nature of your business. It’s the guiding light for everything your business does. Regardless of the particular activity in which you are engaged you should be able to articulate how that activity relates to the mission statement. 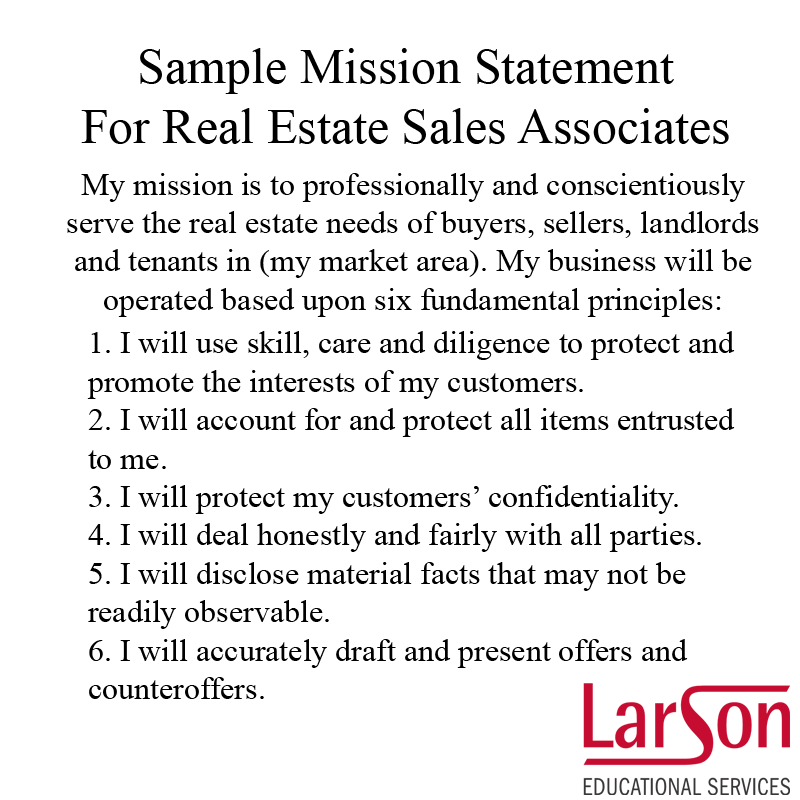 These must be measurable and consistent with your mission statement. Reverse engineering begins with the desired result. Your business plan will include the steps to achieve your goals. These are measurable milestones that must be accomplished to achieve your goals. This will determine the amount of money you will have for marketing and promotion. These specify what you’re going to do, how you’re going to do it, and when you’re going to do it. It also includes your marketing and personal promotion plan. Keep these 5 components in mind when drafting your own business plan and you’ll be more likely to make it a successful one. Note: Traditionally, a business plan is prepared to seek financing, especially a loan from a bank or venture capital. However, it’s helpful to consider your business plan in those terms even if acquiring financing is not currently a necessity for you. This entry was posted in florida real estate school, larson educational services, naples real estate school and tagged business plan, florida, florida real estate school, Naples, naples real estate school, real estate, real estate school, sample business plan, successful business plan. Bookmark the permalink.